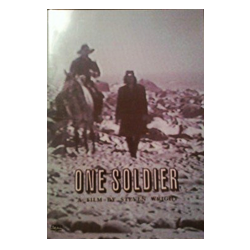 “One Soldier”. Written and directed by Steven Wright. Starring Steven Wright and Sandy Carrol. Taking place shortly after the civil war, the story of a man obsessed with the unanswerable questions about life. (30 min.) Black and white. 1999.